I found inspiration for this project from a pin that I found on Pinterest a while ago. It was felt Christmas tree, with movable decorations.I remember thinking what a fabulous idea, a felt Christmas tree that my toddler can decorate herself. It reminded me of the Colorforms from my childhood. I loved this idea but did not think that it would appeal to my daughter, as she does not understand the concept of a Christmas tree yet. I wanted to take this idea and apply it to something that would peak her interest now. Mai is a lover of animals, so I could not think of anything that would grab her attention more than a farm. Supplies that I used for this project.. I use felt on a lot of projects, so luckily I had almost everything I needed already. 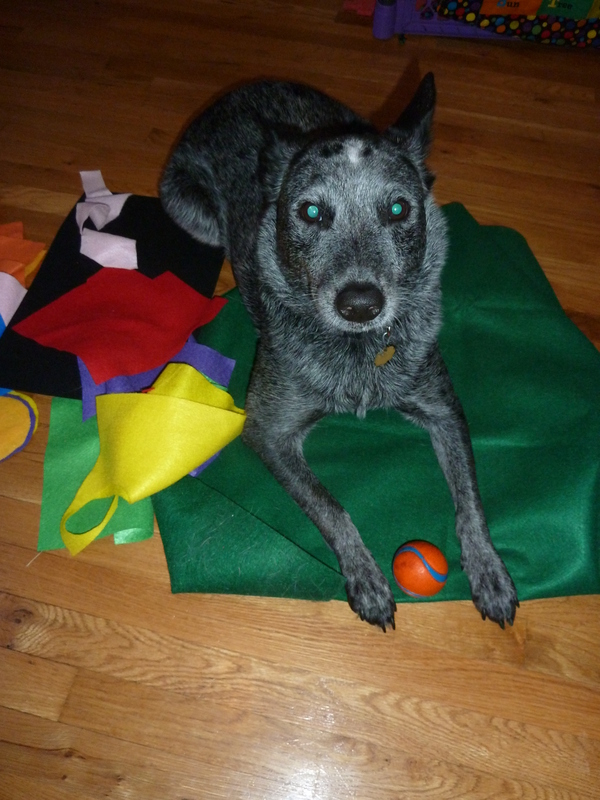 I started with a 36″ X 36″ of green felt for my background. I added blue felt to the top for the sky, attaching it with the glue gun. 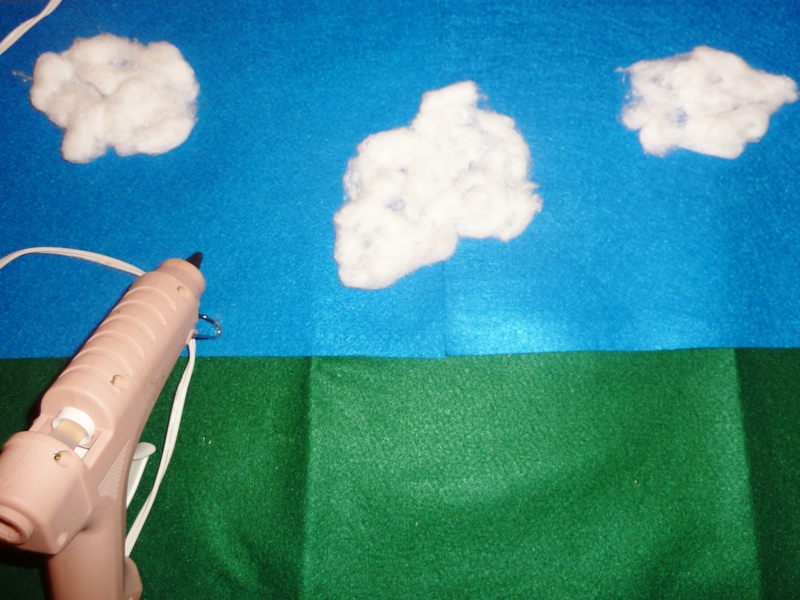 I then applied glue to the sky and dragged cotton balls across it to form the clouds. 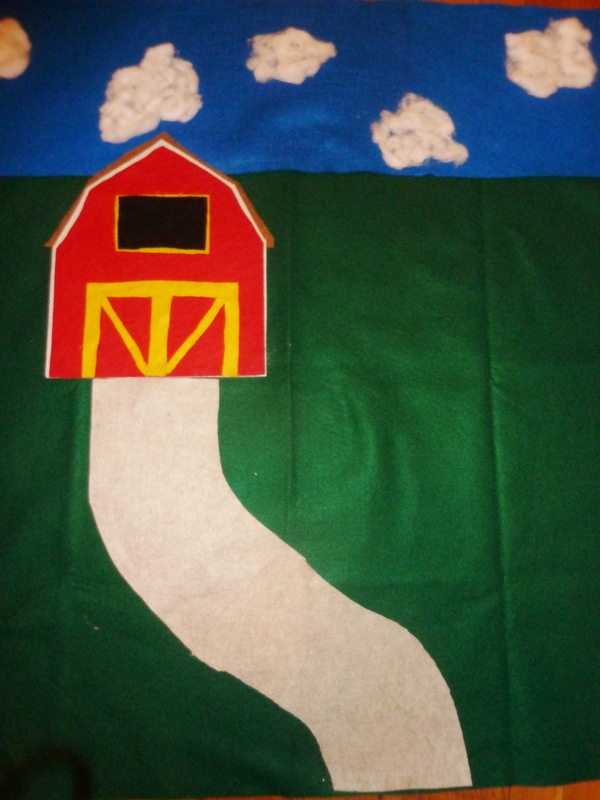 I added a barn with a dirt road to complete my background. Mai & Duke helped too. 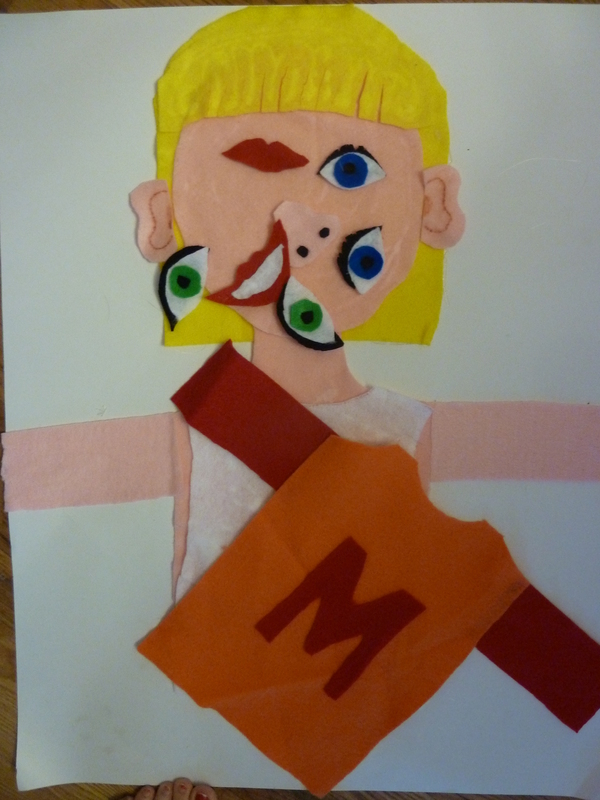 I then drew and cut out all of the movable pieces. 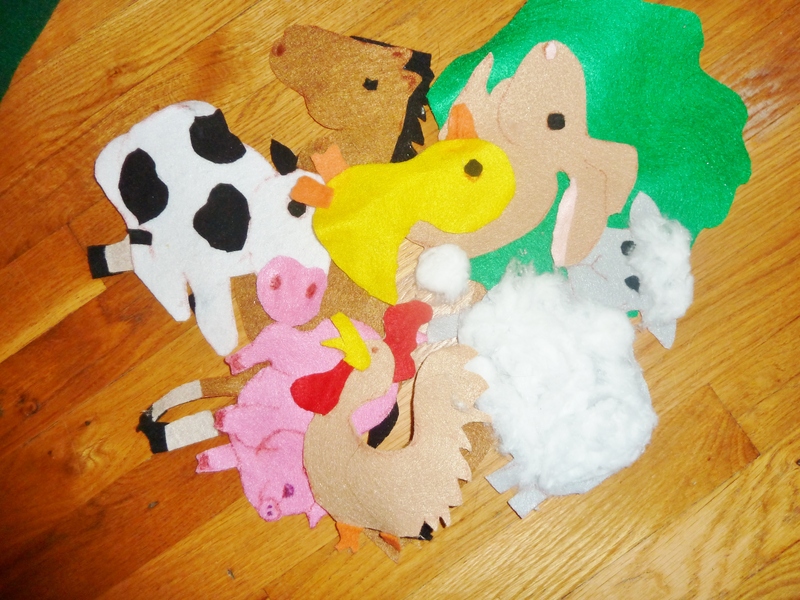 Our farm included a pond, tree, horse, duck, sheep, pig, cow & a rooster. Mai was quick to point out after I finished, that there was no hop, so I quickly made a bunny. Our farm was now complete. 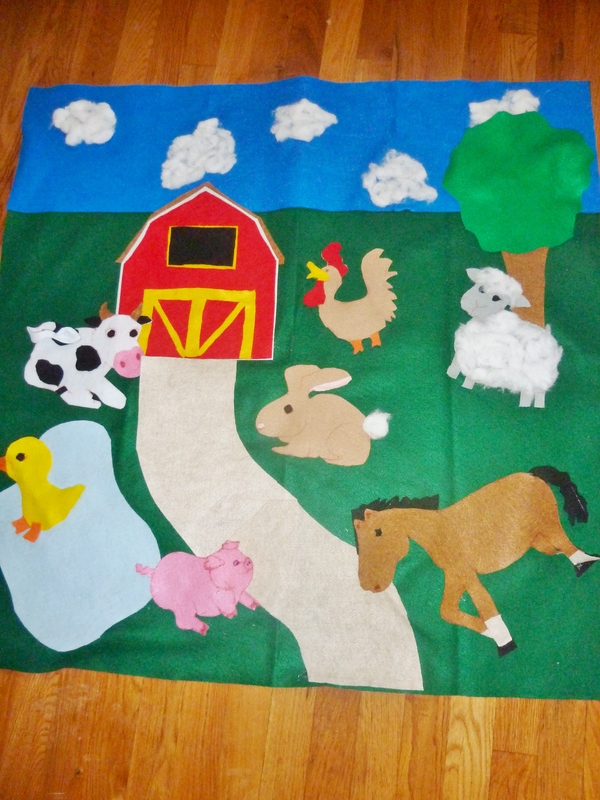 Felt sticks to felt, so you can also hang this on the wall and the movable pieces will stick. The verdict: It was a hit. 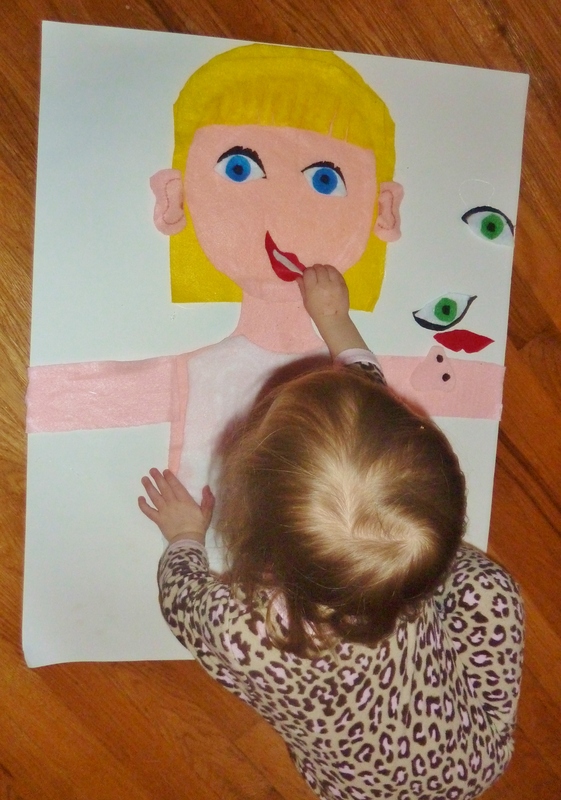 She loved pointing out all the animals to mommy and daddy and moving the pieces around. 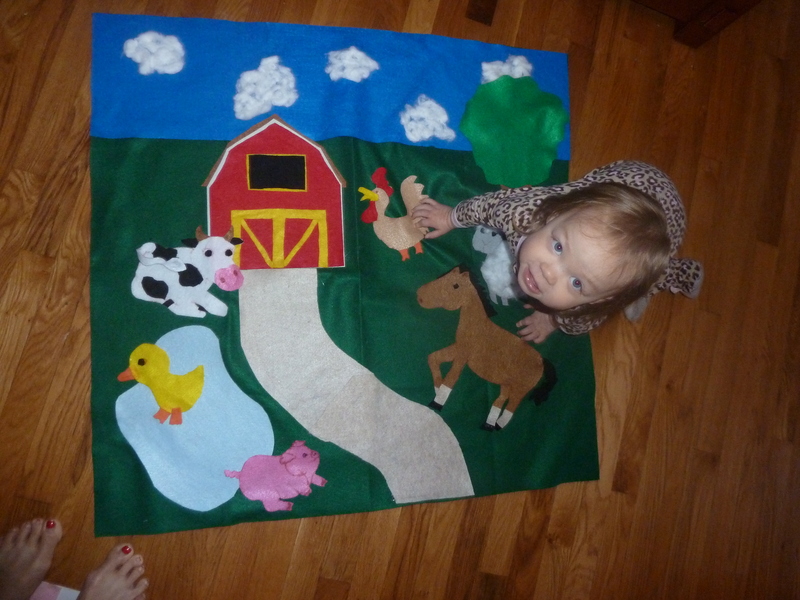 Since I was still in a crafty mood and had alot of felt left over, I made one more project. These should keep my busy little toddler occupied for at least 5 minutes. Sigh! adorable! I love the christmas tree idea!